I’ve been visiting and reviewing some superb restaurants that serve up delicious food. However, their desserts lack creativity and don’t taste amazing. If you haven’t heard of freak shakes, you need to get acquainted with these creamy, thick and delectable cake mash up beasts. 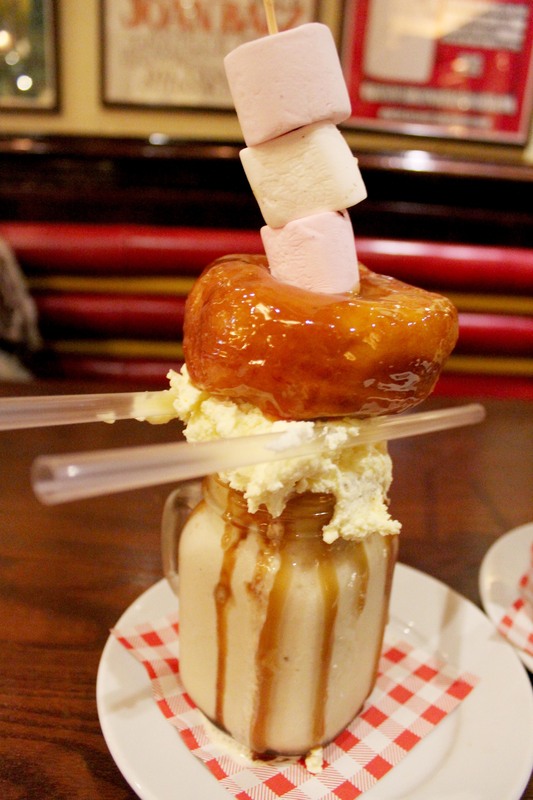 Originated from Australia, these shakes has found their way from Canberra to London this year. When myself and Zahra discovered there was an eatery that has been quietly serving up freak shakes for months, we organised dinner. 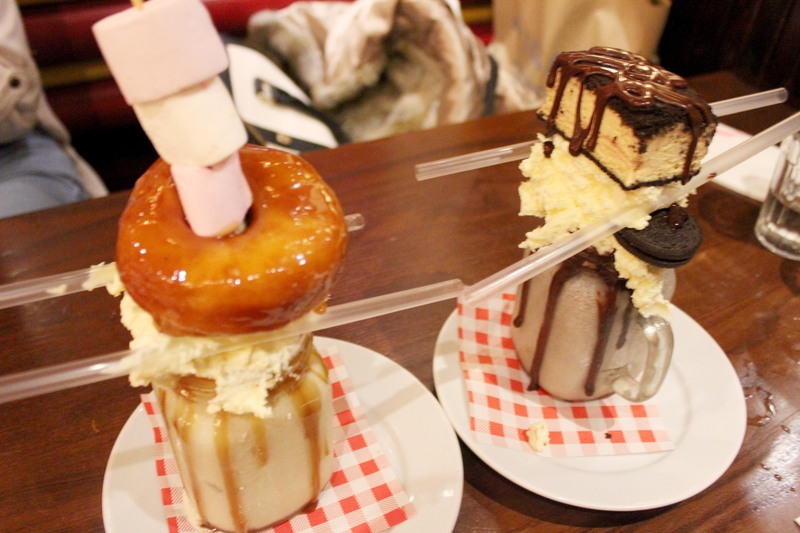 On this day, we went to Maxwell’s bar and grill in Covent Garden to try the shakes they had on offer; a salted caramel shake topped with a doughnut and an oreo shake top with oreo ice cream sandwich. As the waitress brought our dessert over, the table next to us ordered theirs too. These shakes were out of this world and filling. I won’t recommend having both of them in one sitting unless you’ve found a secret way to enlarge your belly. Even though I went back a week after this trip, editing the pictures and writing this review has made me crave the Oreos freak shakes. Guess who is going back to Covent Garden to have their fix, me!